DI-Iodothyronine (DIT), what T3 breaks down into, is found in abundance in brown sea moss and for this reason it has been used as a treatment for thyroid disorders. Thyroxin (T4) and Tri-iodothyronine (T3) have been found as the main organically bound iodine compounds in several brown seaweeds (sea moss). Then of course there is the iodine, more concentrated in sea moss than any other food and this is serious fuel for the thyroid. Selenium is also present in abundance and is a necessary factor in thyroid hormone production. Sea Moss is also jam packed full of potassium. The cells of the body cannot function without potassium though strangely, our bodies do not have a mechanism to conserve potassium. Adding high-potassium foods like Sea Moss to the diet can significantly improve behaviour and mental functioning (especially for ADD children!). High potassium foods are also very helpful for fibromyalgia, moodiness, agitation, depression and anxiety disorders. This food is like a warm cup of tea and good book by the fire for the nervous system. If all that wasn't enough, Sea Moss contains Algin. This phytonutrient has therapeutic value as a heavy metal detoxifying agent - meaning it helps pull heavy metals out of the tissues of our bodies. Additionally, Sea Moss is a healing agent to all mucous membranes (great for external skin health and internal digestive tract health). I could go on forever on this goody, but for now I will leave you with the simple ways to prepare it. Sea Moss helps relieve and prevent symptoms of colds and flus - how perfect for the winter months ahead. 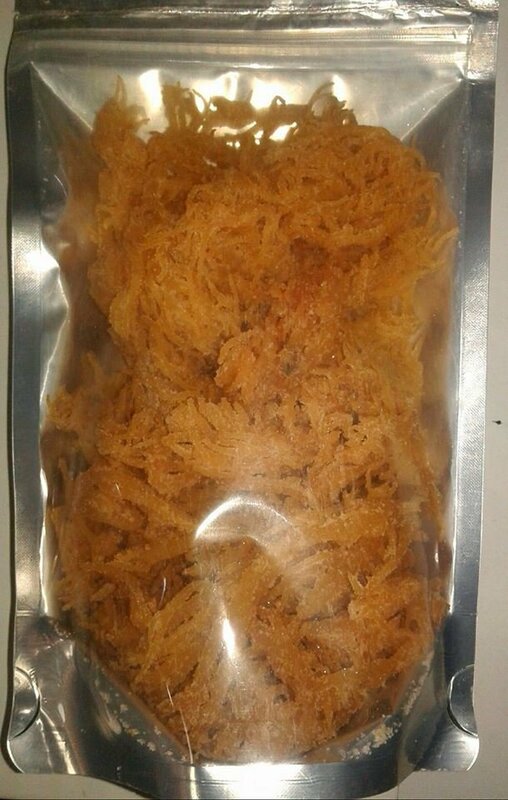 Irish moss is a source of potassium chloride, a nutrient which helps to dissolve catarrhs(inflammation and phlegm in the mucous membranes), which cause congestion. It also contains compounds which act as natural antimicrobial and antiviral agents, helping to get rid of any infections.